I know that quote to be true except the Alantic is my ocean. The only difference is in the coast line. You captured s beautiful vista to go with Steinbecks quote. Loved all his books. Your trip really was so beautiful. What beautiful tones and colours! Such beautiful soft colours and lighting, like a painting! You never might have guessed, but it’s my favorite ocean! So glad you had a chance to visit it. I love how the light makes everything look like a dream. Perfect quote too – Steinbeck is one of my all-time favorite authors. A very unique view, nicely captured. 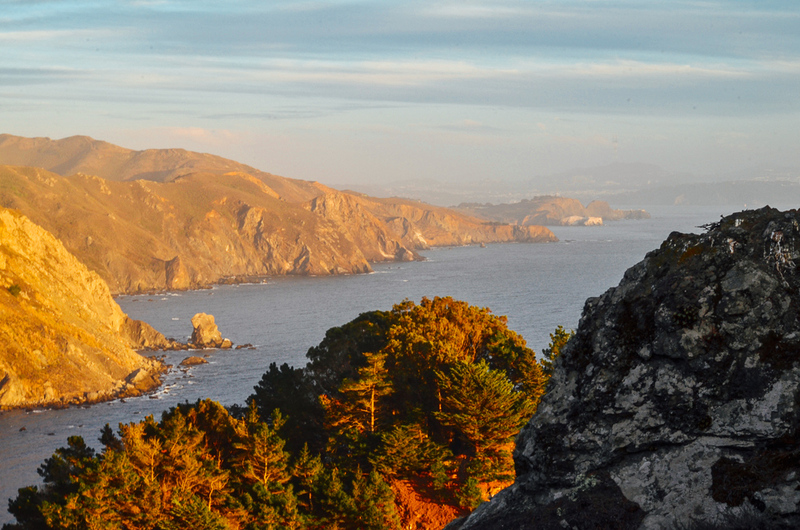 Such lovely golden light shining on the trees and cliff….your image is so beautifully paired with Steinbeck’s quote.